Good to hear that the blu-ray of Vertigo is good, it is one of my favorite movies and maybe Hitch's best along with Psycho. Now I'm sure it was a bad idea for me to watch eight Friday the 13th movies mor or less in a row. They are so much alike that I can't think of much to write about them. But I'll give a try, keeping it short and sweet. Jason is dead, long live... Roy? No, he doesn't. But Tommy Jarvis returns, now as a troubled ”teenager” (played by a 25 year old). Jason gets resurrected. Now we're definitely into the supernatural. And we're introduced to the old cliché of ”teenager alerts grownup to a danger, but doesn't get believed”. Jason meets Carrie. Supernatural killer meets girl with telekinetic powers. Well, at least it's a new twist. And Kane Hodder gets to play Jason for the first time. He'll do it three more times. Well, four if you count 2001 Maniacs. That's it. I'm done. I won't even try to see Jason Goes to Hell, Jason X or Freddy vs. Jason. Overview When a Russian Military Convoy is taken down in Moscow, AGENT HOBBS, (Dwayne Johnson) goes to the only man who can help him find his target - DOMINIC TORETTO (Vin Diesel). Toretto only agrees to help when he discovers LETTY (Michelle Rodrigues) is alive and working with Hobbs no. 1 target - OWEN SHAW (Luke Evans) a Special Ops mercenary running an equally brilliant crew. Toretto's elite outfit including BRIAN O'CONNER (Paul Walker) and all the ENTIRE ORIGINAL CREW pursue Shaw and his crew in a series of heart-stopping heists across Europe, each chase outgunning the other for size, scale and sheer excitement. My thoughts I saw the first Fast and Furious, but skipped parts 2 through 5. I hadn't really planned on seeing Fast 6 either, but all the hoopla about it got me curious. And as it turns out I quite enjoyed it. You can't take a film like this too seriously. It's just action for actions sake. But that's ok. There are just a couple of moments that are a little too much WTF for my taste. The worst one is Dom's superleap to save Letty from falling to her death. That's one where I just go ”Oh, give me a break”! It's not that the rest of the film was in any way plausible, but I could ignore most of the impossibilities. There were just these few moments where I went ”oh no”. It was nice that most of the car stunts were made for real. There is something about practical effects that almost always make them look better than CGI effects, even if you can't put your finger on what it is. I would have given this a 4 if it wasn't for those WTF moments. Jason Goes to Hell is very different than anything else in the franchise, it doesn't make sense but maybe you could like it. At worse if you hate it Erin Gray is in the cast, so that would give you a chance to see her. Jason X is more or less the same but in space, I like it but I doubt you will if you don't like the first eight. It's not so much that I dislike all the first eight. It's just that watching them all in 10 days gave me a "Jason overload". Erin Gray, huh? Yeah, I remember her from Buck Rogers, and I have seen her guest starring in some TV shows. Hm, maybe I'll give Jason Goes to Hell a chance eventually, but not right now. 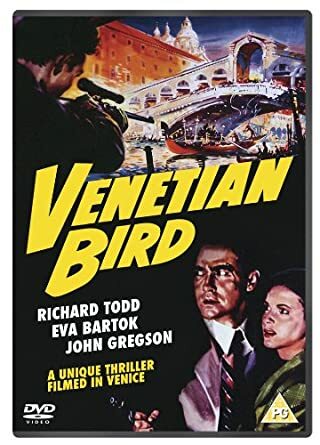 Overview Private detective Edward Mercer (Richard Todd) is sent to Venice to find war-time Italian partisan Renzo Ucello (John Gregson) and reward him for aiding the escape of a wealthy American during World War 2. On his arrival in Venice all is not what it seems and Mercer soon attracts the attention of both the Italian police, and shady underworld characters. Discovering that Ucello was apparently killed during World War 2, Mercer believes his search is at an end. However the Police take a special interest in his investigation believing that Mercer is somehow involved in a plot to assassinate a leading politican. Cold war intrigue is everywhere as the assassination plot unfolds and the identity of the sniper is a shock to the authorities! My thoughts This is a nice little thriller where the protagonist is framed for murder and has to run from the police to find proof that he is innocent. Yes, we seen it before. But that doesn't mean that it can't be thrilling. Unusual settings is one way to vary the familiar theme, and this time they choose Venice. We see some famous places, and some location shots that could be pretty much anywhere (perhaps even on a studio backlot). There are many well known British actors in this film, playing Italians. That works for some, but I had a hard time imagining Sid James or Miles Malleson as being Italians. 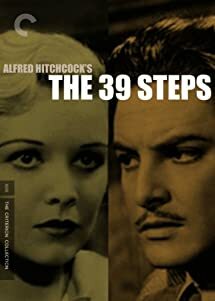 I just got two versions of The 39 Steps (and I already own the Hitchcock version, of course). I was thinking of doing a 39 Steps marathon, watching the three of them back to back, but given how I felt about my Friday 13th marathon I think I will watch them soon, but not back to back. I have seen the Kenneth More version back sometime in the sixties, but I remember virtually nothing from it. I have not seen the Robert Powell version. Anybody have any thoughts about these vs. Hitchcock's classic? I just finished reading this book. 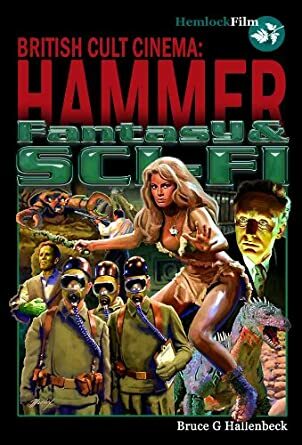 Unlike the two other Hammer books I have written about earlier, this one is more text than pictures. Although there are plenty of pictures too. Hammer Films is of course best known for its horror films; the Frankensteins, the Draculas and the mummies. And one werewolf. But they also made quite a few movies in the Fantasy and Sci-Fi genres, and this is what this book is about. It's very well written and well researched. It not only gives you a lot of information about these films, but also puts them in context with other films in these genres at the same point in time. I really enjoyed this book, and if you are interested in Hammer Films I am sure you too will find this book a fascinating read. The US edition, published by Midnight Marquee Press, has a different cover, but seems to be identical in all other aspects. A couple of days ago I watched the 1953 House of Wax on Blu-Ray. Today I noticed that TCM was showing it, so I switched over to TCM to see if there was much of a difference. OMG! I could hardly believe it was the same movie! The brilliant colors that I had seen on BD looked totally lackluster on TCM. So if you have only seen this movie on TV broadcasts, treat yourself to a new experience and get the Blu-Ray! This is, of course, especially true if you have a 3D setup, but even if you don't (and I don't) it's absolutely worth it. In case you haven't seen it at all, not only is it a darn good movie, it's one of Vincent Price's finest performances, and it features a very young Charles Bronson (billed as Charles Buchinsky). I watched the 1959 film first. Some people say that this is more or less a shot for shot remake of the Hitchcock version. That isn’t true. It is, however, quite obviously a remake of the Hitchcock film, rather that a new take on the John Buchan novel. The story is essentially the same. This version is shot in color, which benifits the view of the Scottish landscape, but in pretty much all other aspects it is inferior to Hitchcock’s version. Kenneth More was a fine actor, but Taina Elg is just ”meh”, and the two have very little chemistry. Director Ralph Thomas is not responsible for the Carry On pictures as some seem to believe. That’s his brother Gerald. Ralph is no Hitchcock, but he has directed some quite good pictures. And this one isn’t really bad, it’s just... unnecessary. Hitch tells the same story much better. The 1978 film with Robert Powell as Richard Hannay is much closer to Buchan’s novel. It’s mainly the ending that has been changed. The plot does not have a whole lot in common with the Hitchcock version. Unlike in the two other version, the bad guys are not trying to smuggle out secret information, but are instead plotting the assassination of a foreign dignitary on visit to London. The ending at Big Ben is quite exciting, if not very plausible. Powell work quite well as Hannay. Karen Dotrice is pretty, but doesn’t seem to have aquired any more acting skills since her appearance in Mary Poppins at age 8. Finally the Hitchcock version. The main complaint against it is how far removed from the Buchan novel it is. The opening titles say that it’s based on Buchan’s novel. It would probably be more true if it had said ”inspired by”. But if you don’t hold that against it, it does almost everything right. Robert Donat and Madeleine Carroll are very good, the best leading pair of the three films. And Hitch knows how to build suspense. So there is no question that this is the best of the three. If you are only going to see one of them, this must be the one. You can see the 1978 version to get a feel of the original story. There is no need to see the 1959 version unless you are a big fan of Kenneth More. 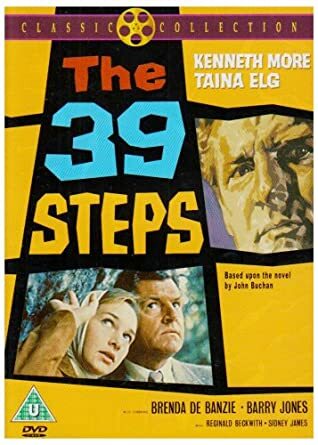 Finally, what are the 39 steps? Well, each film has a different answer. The 1959 film is probably closest to the novel in this case. In both that one and in the 1978 version, the title refers to actual steps, although in the 1978 version it refers to some steps in Big Ben (or in the clock tower if you want to be precise; Big Ben is just the clock itself). 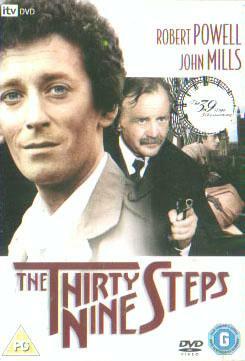 In the Hitchcock version The 39 Steps seem to refer to the spy organisation, not to some actual steps. Overview With a second-hand trumpet and the loving guidance of a brilliant bluesman, a lonely boy grows into manhood as a superb musician whose talent carries him forward from honky-tonks to posh supper clubs. But his desperate search for the elusive high note trapped in his mind but impossible to play starts him on a boozy downward slide. Charged with dynamic performances by Kirk Douglas (the title role), Doris Day, Lauren Bacall and Hoagy Carmichael and pitch perfect direction from Michael Curtiz (Casablanca) this film is a feast of hot, cool, moody jazz. Legendary Harry James dubbed Douglas' hornwork. Day brings another fine instrument - her voice - to four standards. Movie and Music lovers will be glad to meet this Man. My thoughts This movie has been in my unwatched pile for a while. I bought it to complete my Doris Day collection, but I didn't watch it right away because it wasn't really a "Doris Day movie". She only has third billing. Well, I eventually got around to it, and I realize I should have watched it sooner. Or maybe not. Seeing it now was a pleasant surprise. I actually liked it quite a lot, and Doris was very good in it. I don't care too much for jazz, but even so a couple of movies about jazz musicians are among my favorite movies, for example The Five Pennies with Danny Kaye as Loring "Red" Nichols. And now this one. And they're both about horn players. Cornet and trumpet, respectively. None of them are really biographical. Five Pennies is loosely based on Nichols life, while Young Man is inspired by a book that's inspired by the music of Bix Beiderbecke. One thing that initially got me a little confused was the title. The Elvis movie Loving You had the Swedish title Ung man med gitarr (Young Man with a Guitar), and of course that movie is nowadays a lot more well known than this one. So my first thought when I saw the title was "Horn? Wasn't it Guitar?". Then of course I realized that they were two different movies. And the blame falls squarely on the Swedish distributor of the Elvis movie for pinching the title idea. Anyway, even though I bought this title because of Doris Day, I was very much impressed with Kirk Douglas in the title role. Lauren Bacall is also good as a rather unlikeable character. I couldn't understand, though, how Rick (Douglas) could fall for her rather than for Doris' character. But then I guess I'm not entirely objective since I've has a long time crush on Doris. Great reviews so far! Given me alot of ideas! But i dont see a review of 'Pillow Talk' yet?